An oscilloscope is an awesome tool to have around the shop. Unfortunately, most scopes take up quite a bit of bench space and they're not very portable. 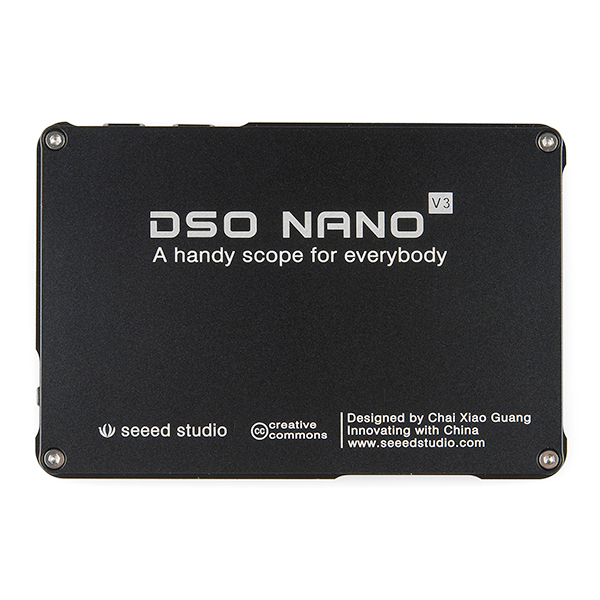 The DSO Nano v3, on the other hand, is a 32bit digital storage oscilloscope that fits in the palm of your hand! 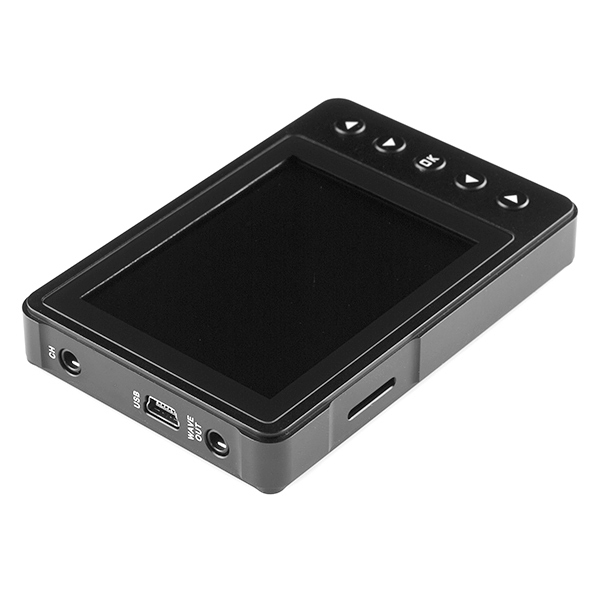 Based on ARM -M3, it’s equipped with a 320x240 color display, internal 2MB storage, USB port and recharging function. 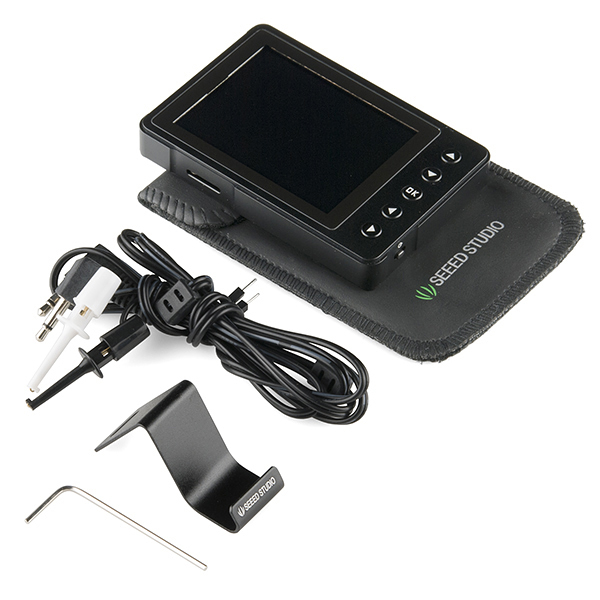 It’s compact, simple to operate and perfect for everything from the test bench to field work. Is that using x10 on the probe? Has anyone recently had a problem extracting the files from the "BenF364_LIB353.zip" file? When I try to open the ZIP, I get the message "the compressed (ZIP) folder is invalid or corrupted". I have tried this on several computers as well as using WinZIP. Can anyone post a copy of this file, uncorrupted? Thanks. Seems fine here from this link http://www.seeedstudio.com/wiki/images/1/15/BenF364_LIB353.zip. Does this little thing have a high enough resolution to where I can verify a clean 3.3v on my power supply rail? I just received my Nano V3 today. After installing the BenF firmware it seems to work without any problems. My Nano does not have a slot for the SD card. Why is that, and what am I missing without it? Yes, I have looked everywhere. The SD card slot is no more. From the images there, it seems that the casing no longer has the slot, and the PCB no longer has the SD card interface, and instead (just the/a) hardwired memory chip (probably similar to those in their other products, so 2MB). Edit: As to what you're missing - it would store captured waveforms on the SD card - it can now do so on the internal memory, if I read that note in the forum correctly. So far I have not been able to save either an image or an XML file. A message saying "NO CARD" appears in the lower right corner of the display. Maybe this issue can be fixed with future software updates - I hope so. That may, unfortunately, be related to the BenF firmware which expects a card? I'd say peruse the thread at http://www.seeedstudio.com/forum/viewtopic.php?f=22&t=4403 and maybe inquire there as to what, exactly, your options are at this point. On the last page of this topic a file was available for download. It has the original firmware hex files. I'm not sure if I will reinstall them or not. I hope the BenF firmware will be updated. I will definitely not try a hardware hack. Good catch. We've been trying to figure out what was going on, but we also fell under the "no response from support" category. We should be getting our page updated asap to reflect this! Instead download the hex version of the firmware here. Next, extract the files from zip, and simply copy and paste them into the plug-and-play hard drive that appears when you plug in the usb and turn on the DSOv3 while holding the down button. Here's the trick: you have to do the files one by one. The disk will immediately disconnect(this is good). when it reconnects, the file you just copied will have a different extension. Start with the LIB, then do the APP next. finally, disconnect the device from the usb port and power cycle it. When it next boots, you should see the benF firmware boot screen. Before you install the BenF Firmware upgrade take a good look at your Nano. 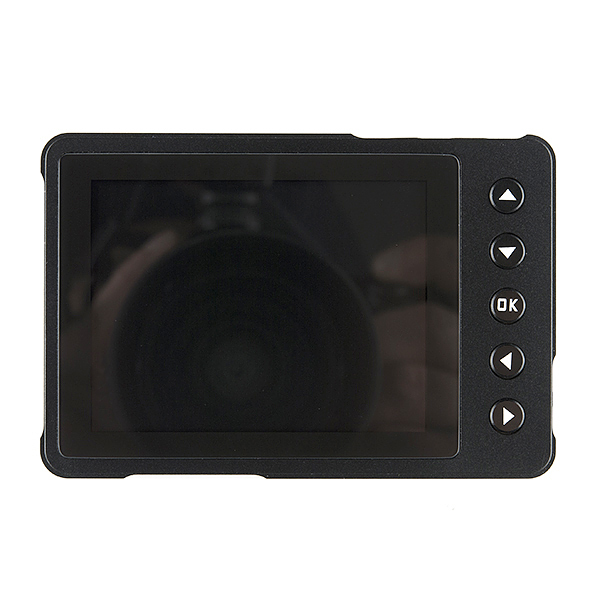 Does it have a slot for the SD card? If not, your Nano depends on internal memory to flash images and XML files. BenF Firmware version 3.64 does not address or recognize this internal memory. You will not be able to save screen images or XML files for download. Everything else works on the BenF Firmware, and it is an excellent piece of software, but you will lose the ability to save images and files. If you want to save files and images, consider keeping the firmware that came with the Nano. I hope that future upgrades to BenF firmware will fix this issue. Thank you very much! Your tip made the upgrade a snap. I followed it word for word and it worked flawlessly. Thanks for the info. The upgrade was easy. BenF should be the default firmware. I have the v2 flashed with the Ben F firmware. The o-scope is fantastic for the price. I noticed that they dropped the analog from 1MHz to 200Khz which may be on the conservative side. I'm able to get a nice wave at 200KHz. WOW just WOW. For that cheap, who could deny such an offer?? 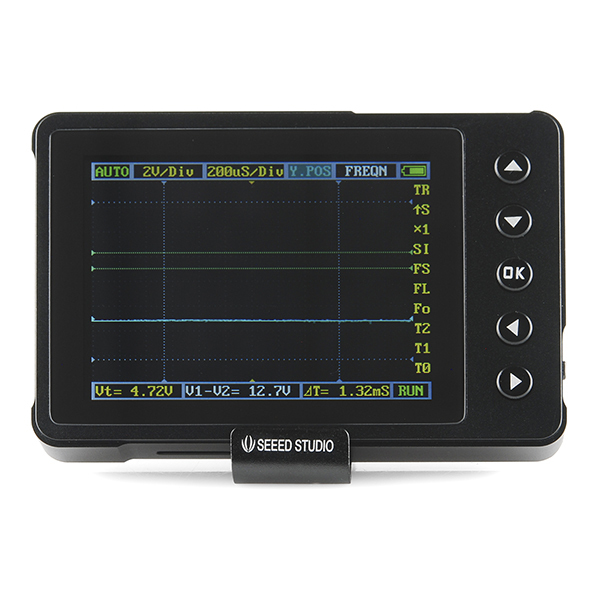 I bought original one, and loved it for a little bit, and then boss at work gave me Tektronix TDS 520A, that little DSO was nice, but at that moment became tool box decoration. on other hand I have Gabotronics XProtoLab, that permanently attached to my main protoboard, and it's digital analysis tools make my life easy, so, moral of the story, DSO concept is pretty, works and does everything as advertized, but for same money you can get really good used o-scope that would be bigger, but more flexible and will have 2 Channel input, when you have anything to do with real world applications, outside of arduino and breadboard, you pretty much must have 2 or more channels of input. With that said DSO have it's place in my heart, but only when I don't want to risk inputs on big boy. 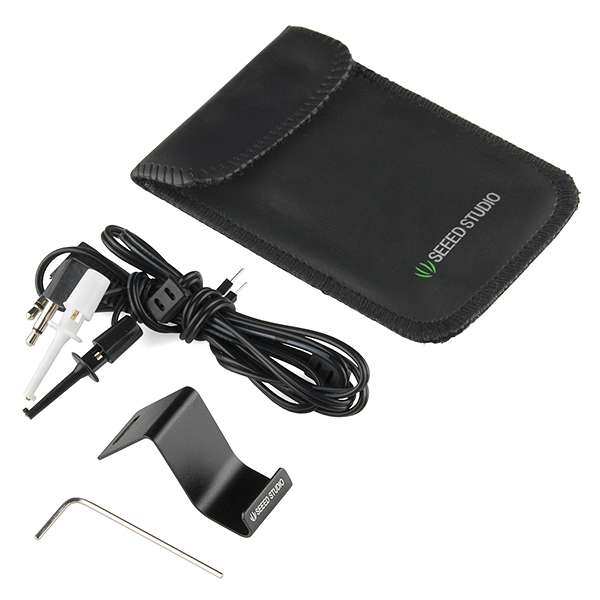 A nice little oscilloscope, very handy and easy to carry in the supplied case. Easy to use and mine works just fine with the firmware it arrived with (version 4.32) no updating needed as the manual suggests. The sensitivity on the probe is adjusted (1X or 10X) in the Y menu not on the probe as the manual states.